Socialization, our young children need it in order to be successful designers, leaders, spouses, and parents, and professionals. In today’s society, media is robbing our children of meaningful, human to human interactions that promote relationships and networking in the career field. 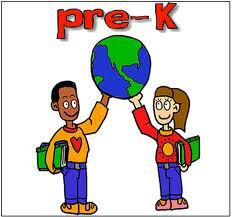 Having full time Prekindergarten is a wonderful investment in our young Texas children’s lives. Recent research confirms that the first five years are particularly important for the development of the child’s brain, and the first three years are the most critical in shaping the child’s brain architecture. Early experiences provide the base for the brain’s organizational development and functioning throughout life. They have a direct impact on how children develop learning skills as well as social and emotional abilities. Children learn more quickly during their early years than at any other time in life. Therefore, lets provide them a safe academic environment where they will receive nutritional, socially, and developmentally appropriate learning.